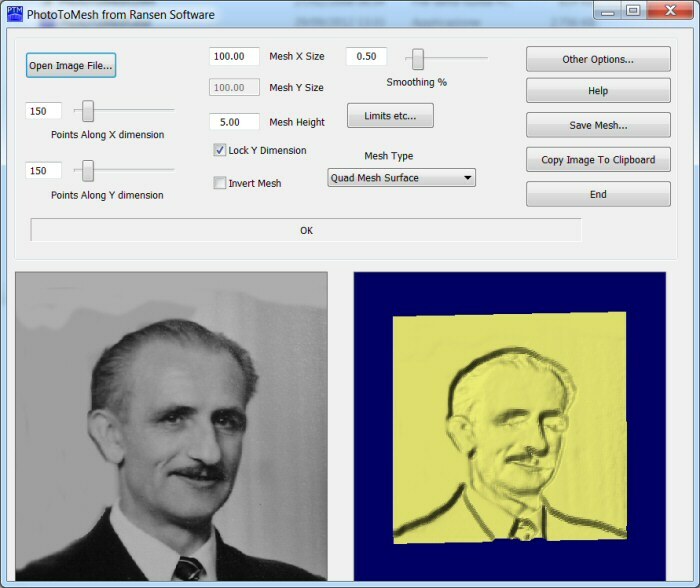 PhotoToMesh is not a 3D reconstruction program, it is a heightfield maker which uses images as the source data and which can output the heightfield as various sorts of 3D image file formats. Programs like this are sometimes called "Heightfield Generators". You can of course import the DXF file into any CAD or CAM system which supports DXF meshes, and most do. For 3D printers it is normally better to use PhotoToMesh's STL file saving instead of DXF. Smoothing away awkward and sudden changes in height.